Mumbai: Maharashtra Chief Minister Devendra Fadnavis inaugurated a 105 bed Neonatal Intensive Care Unit(NICU) here, calling it a boon for the health care of the newborns. The unit, India’s biggest NICU, was inaugurated at the city based Surya Hospital. “There is no better day to inaugurate this NICU than Children’s Day (November 14). I am really happy at this remarkable milestone and would like to dedicate this NICU to the country,” said Fadnavis at the inauguration of the unit. “There are many who die due to lack of facilities and hence it is essential to have physical and geographical expansion of NICU beds across the state. Accessibility, quality and affordability needs to be the goal for health care fraternity,” Fadnavis added. According to Indian health data, although a decline has been noted in it’s neonatal mortality rate, out of those born, around 33 per cent of infants have low birth weight less than 2.5 kg. 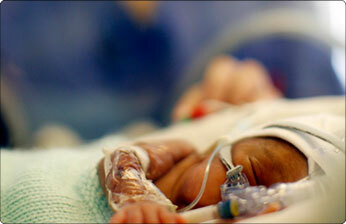 India witnesses more neonatal deaths than any other country. “Around eight lakh newborn babies succumb to death every year in India. Maharashtra is in the second position in percentages of infant deaths during neonatal period and Mumbai forms 2/3rd of these,” said B. S. Avasthi, Founder and MD of Surya Hospital. “Despite decrease in neonatal mortality rate, the number of Neonatal Intensive Care Unit (NICU) is insufficient in our country. Taking a cue from the situation, Surya Hospital has now dedicated a state of the art level NICU with 105-beds,” Avasthi added. Maharashtra Health Minister Deepak Sawant was also present during the inauguration of the NICU.